The Federal Polytechnic Ilaro, Ogun came second with 73.08 percent, while Kaduna Polytechnic, Kaduna State came third with 72.31 percent. Oyo State, ranked fourth with 67.69 percent; Federal Polytechnic, Bida, Niger, fifth with 65.38 percent; and Auchi Polytechnic, Auchi, Edo, sixth with 63.85 percent. Kazaure explained that Nekede emerged the best after scoring 85.08 percent in the assessment of 112 federal, state and private polytechnics in the country, in the pilot ranking of Nigerian polytechnics. Institute of Management and Technology (IMT), Enugu, Enugu State is seventh, with 62.31 percent. 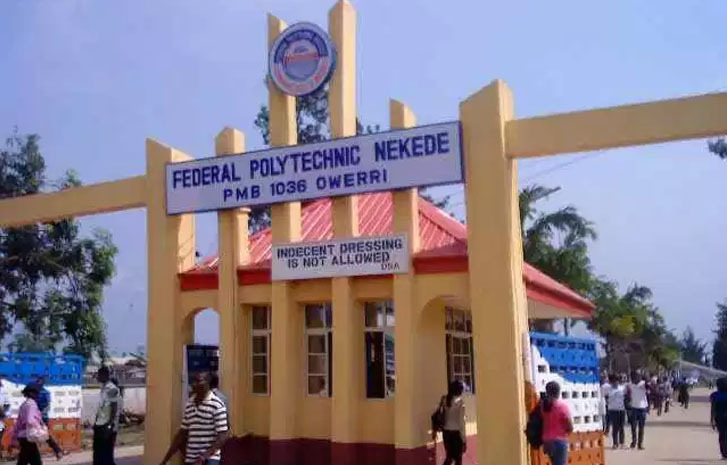 Federal Polytechnic Offa, Kwara, Rufus Giwa Polytechnic, Ondo State and Yaba College of Technology, Yaba, Lagos State were ranked eighth with 60.77 percent.